Early one Wednesday morning in late September, Brittany Sallinger received an unusual wake-up call when her fiancé hurried her out of bed and brought her outside. Sallinger, who occasionally works with Fur-Ever Home Rescue in Virginia Beach, Virginia, knelt down in her pajamas and took a closer look under the Jeep parked in the driveway. There, she spotted a tiny pit bull puppy trembling near the back tires. But it wasn’t just the motor oil that bothered the couple — the little puppy had the remnants of a yellow shopping bag strung around her neck, suggesting someone had intentionally restrained her. 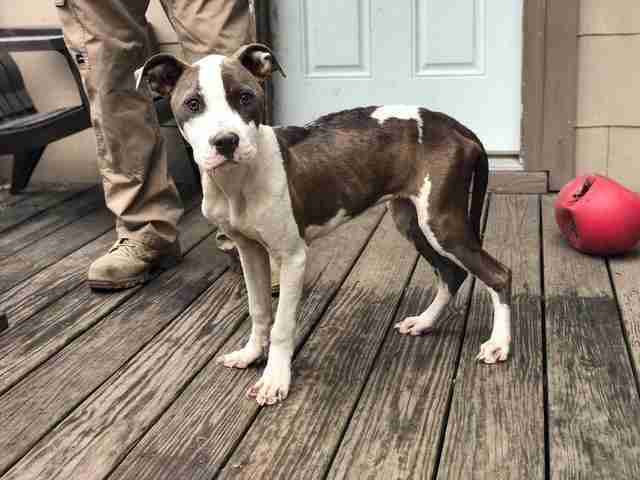 A visit to the vet revealed that the 4-month-old pit bull was extremely underweight and battling worms, but otherwise healthy. The puppy was eager for food, but far less keen on human interaction. Since moving into her foster home temporarily, the Itty Bitty Pittie has started following around her foster mom like a tiny shadow. “She’s very much seeking a bond with someone,” Martin said. 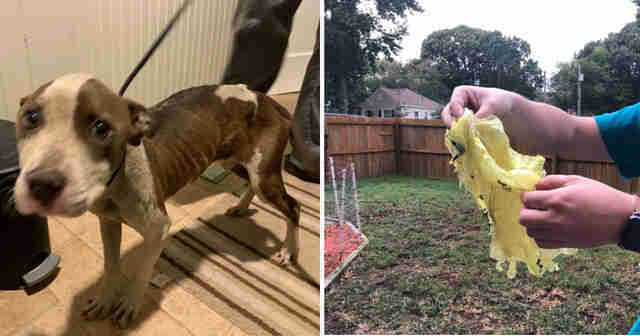 Martin couldn’t be more thrilled with Itty Bitty’s speedy transformation, though she wasn’t surprised by the puppy’s change of heart. “I’m really happy, because it’s going to make her life so much easier, and so much better,” she added. 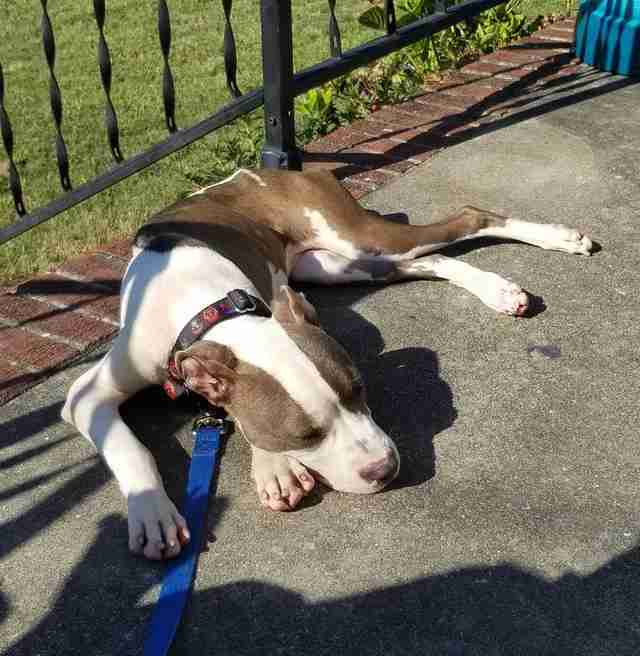 The Itty Bitty Pittie is focusing on reaching a healthy weight, and then it will be time to move on to a forever home. Martin has been inundated with applications after posts on social media brought attention to Itty Bitty’s story online, and she sees no need to rush the process. “I look forward to finding her a fabulous family who’s going to spoil her rotten,” Martin added. 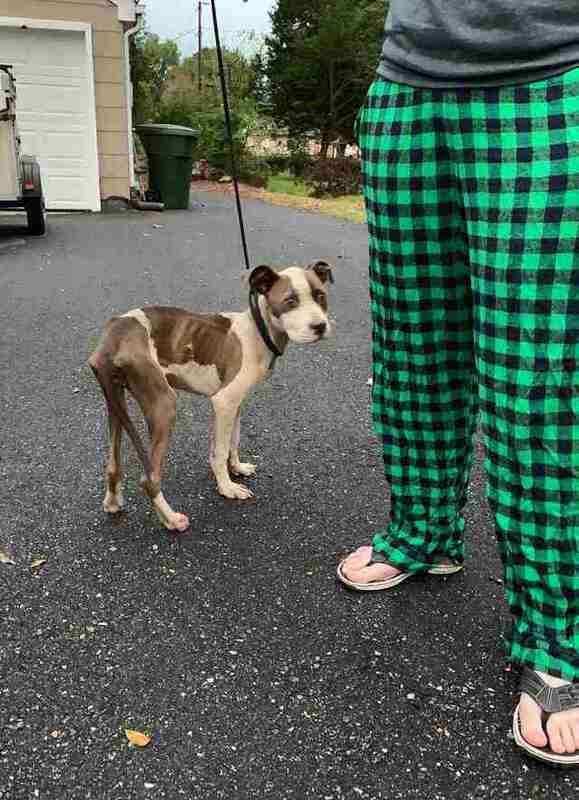 If you live in the Virginia area and you are interested in adopting the Itty Bitty Pittie, you can find more information on the Fur-Ever Home Rescue website. If you do not live in the area, please check out your local shelter for more adoptable dogs.